Narcissistic Personality Disorder cannot be cured, but certain antisocial and self-destructive or self-defeating behaviors can be modified using cognitive-behavioral therapies. Narcissists attend therapy only as a last resort and only in order to restore their access to narcissistic supply. Narcissists hold the therapist in contempt and seek to establish their grandiose superiority and entitlement by playing mind games and by undermining the therapeutic alliance. Is the Narcissistic Personality Disorder (NPD) more amenable to Cognitive-Behavioural therapies or to Psychodynamic/Psychoanalytic ones? Narcissism pervades the entire personality. It is all-pervasive. Being a narcissist is akin to being an alcoholic but much more so. Alcoholism is an impulsive behaviour. Narcissists exhibit dozens of similarly reckless behaviours, some of them uncontrollable (like their rage, the outcome of their wounded grandiosity). Narcissism is not a vocation. 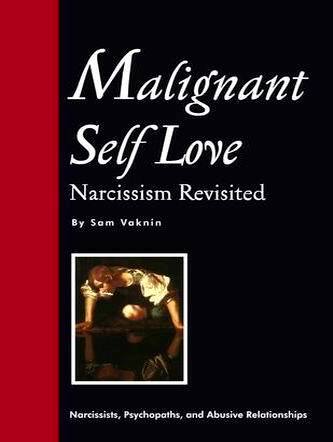 Narcissism resembles depression or other disorders and cannot be changed at will. Adult pathological narcissism is no more "curable" than the entirety of one's personality is disposable. The patient is a narcissist. Narcissism is more akin to the colour of one's skin rather than to one's choice of subjects at the university. The CBTs postulate that insight – even if merely verbal and intellectual – is sufficient to induce an emotional outcome. Verbal cues, analyses of mantras we keep repeating ("I am ugly", "I am afraid no one would like to be with me"), the itemizing of our inner dialogues and narratives and of our repeated behavioural patterns (learned behaviours) coupled with positive (and, rarely, negative) reinforcements – are used to induce a cumulative emotional effect tantamount to healing. Psychodynamic theories reject the notion that cognition can influence emotion. Healing requires access to and the study of much deeper strata by both patient and therapist. The very exposure of these strata to the therapeutic is considered sufficient to induce a dynamic of healing. The therapist's role is either to interpret the material revealed to the patient (psychoanalysis) by allowing the patient to transfer past experience and superimpose it on the therapist – or to provide a safe emotional and holding environment conducive to changes in the patient. The sad fact is that no known therapy is effective with narcissism itself, though a few therapies are reasonably successful as far as coping with some of its effects goes (behavioural modification). This is not psychoanalysis. It is an intensive psychotherapy based on psychoanalytic theory without the (very important) element of free association. This is not to say that free association is not used in these therapies – only that it is not a pillar of the technique. Dynamic therapies are usually applied to patients not considered "suitable" for psychoanalysis (such as those suffering from personality disorders, except the Avoidant PD). Typically, different modes of interpretation are employed and other techniques borrowed from other treatments modalities. But the material interpreted is not necessarily the result of free association or dreams and the psychotherapist is a lot more active than the psychoanalyst. Psychodynamic therapies are open-ended. At the commencement of the therapy, the therapist (analyst) makes an agreement (a "pact" or "alliance") with the analysand (patient or client). The pact says that the patient undertakes to explore his problems for as long as may be needed. This is supposed to make the therapeutic environment much more relaxed because the patient knows that the analyst is at his/her disposal no matter how many meetings would be required in order to broach painful subject matter. Sometimes, these therapies are divided to expressive versus supportive, but I regard this division as misleading. Expressive means uncovering (making conscious) the patient's conflicts and studying his or her defences and resistances. The analyst interprets the conflict in view of the new knowledge gained and guides the therapy towards a resolution of the conflict. The conflict, in other words, is "interpreted away" through insight and the change in the patient motivated by his/her insights. The supportive therapies seek to strengthen the Ego. Their premise is that a strong Ego can cope better (and later on, alone) with external (situational) or internal (instinctual, related to drives) pressures. Supportive therapies seek to increase the patient's ability to REPRESS conflicts (rather than bring them to the surface of consciousness). When the patient's painful conflicts are suppressed, the attendant dysphorias and symptoms vanish or are ameliorated. This is somewhat reminiscent of behaviourism (the main aim is to change behaviour and to relieve symptoms). It usually makes no use of insight or interpretation (though there are exceptions). Narcissists are notoriously unsuitable for collaborative efforts of any kind, let alone group therapy. They immediately size up others as potential Sources of Narcissistic Supply – or as potential competitors. They idealise the first (suppliers) and devalue the latter (competitors). This, obviously, is not very conducive to group therapy. Moreover, the dynamic of the group is bound to reflect the interactions of its members. Narcissists are individualists. They regard coalitions with disdain and contempt. The need to resort to team work, to adhere to group rules, to succumb to a moderator, and to honour and respect the other members as equals is perceived by them to be humiliating and degrading (a contemptible weakness). Thus, a group containing one or more narcissists is likely to fluctuate between short-term, very small size, coalitions (based on "superiority" and contempt) and narcissistic outbreaks (acting outs) of rage and coercion. Developed by Sam Vaknin, Cold Therapy is based on two premises: (1) That narcissistic disorders are actually forms of complex post-traumatic conditions; and (2) That narcissists are the outcomes of arrested development and attachment dysfunctions. Consequently, Cold Therapy borrows techniques from child psychology and from treatment modalities used to deal with PTSD. Cold Therapy consists of the re-traumatization of the narcissistic client in a hostile, non-holding environment which resembles the ambience of the original trauma. The adult patient successfully tackles this second round of hurt and thus resolves early childhood conflicts and achieves closure rendering his now maladaptive narcissistic defenses redundant, unnecessary, and obsolete. Cold Therapy makes use of proprietary techniques such as erasure (suppressing the client’s speech and free expression and gaining clinical information and insights from his reactions to being so stifled). Other techniques include: grandiosity reframing, guided imagery, negative iteration, other-scoring, happiness map, mirroring, escalation, role play, assimilative confabulation, hypervigilant referencing, and re-parenting. It is proving to be an effective treatment for major depressive episodes (see this article about the link between pathological narcissism and depression and this article about depression and regulatory narcissistic supply in narcissism). Adult narcissists can rarely be "cured", though some scholars think otherwise. Still, the earlier the therapeutic intervention, the better the prognosis. A correct diagnosis and a proper mix of treatment modalities in early adolescence guarantees success without relapse in anywhere between one third and one half the cases. Additionally, ageing moderates or even vanquishes some antisocial behaviours. "Most narcissists strongly resist psychotherapy. For those who choose to remain in therapy, there are several pitfalls that are difficult to avoid ... Interpretation and even general assessment are often difficult to accomplish..."
"... (P)eople cannot change their natures, but can only change their situations. There has been some progress in finding ways of effecting small changes in disorders of personality, but management still consists largely of helping the person to find a way of life that conflicts less with his character ... Whatever treatment is used, aims should be modest and considerable time should be allowed to achieve them." "(People with personality disorders) ... cause resentment and possibly even alienation and burnout in the healthcare professionals who treat them ... (p. 318) Long-term psychoanalytic psychotherapy and psychoanalysis have been attempted with (narcissists), although their use has been controversial." The reason narcissism is under-reported and healing over-stated is that therapists are being fooled by smart narcissists. Most narcissists are expert manipulators and consummate actors and they learn how to deceive their therapists. There are gradations and shades of narcissism. The differences between two narcissists can be great. The existence of grandiosity and empathy or lack thereof are not minor variations. They are serious predictors of future psychodynamics. The prognosis is much better if they do exist. There are cases of spontaneous healing, Acquired Situational Narcissism, and of "short-term NPD" [see Gunderson's and Ronningstam work, 1996]. The prognosis for a classical narcissist (grandiosity, lack of empathy and all) is decidedly not good as far as long-term, lasting, and complete healing. Moreover, narcissists are intensely disliked by therapists. Side effects, co-morbid disorders (such as Obsessive-Compulsive behaviors) and some aspects of NPD (the dysphorias, the persecutory delusions, the sense of entitlement, the pathological lying) can be modified (using talk therapy and, depending on the problem, medication). These are not long-term or complete solutions – but some of them do have long-term effects. The DSM is a billing and administration oriented diagnostic tool. It is intended to "tidy" up the psychiatrist's desk. The Axis II Personality Disorders are ill demarcated. The differential diagnoses are vaguely defined. There are some cultural biases and judgements [see the diagnostic criteria of the Schizotypal and Antisocial PDs]. The result is sizeable confusion and multiple diagnoses ("co-morbidity"). NPD was introduced to the DSM in 1980 [DSM-III]. There isn't enough research to substantiate any view or hypothesis about NPD. Future DSM editions may abolish it altogether within the framework of a cluster or a single "personality disorder" category. When we ask: "Can NPD be healed?" we need to realise that we don't know for sure what is NPD and what constitutes long-term healing in the case of an NPD. There are those who seriously claim that NPD is a cultural disease (culture-bound) with a societal determinant. In therapy, the general idea is to create the conditions for the True Self to resume its growth: safety, predictability, justice, love and acceptance - a mirroring, re-parenting, and holding environment. Therapy is supposed to provide these conditions of nurturance and guidance (through transference, cognitive re-labelling or other methods). The narcissist must learn that his past experiences are not laws of nature, that not all adults are abusive, that relationships can be nurturing and supportive. Most therapists try to co-opt the narcissist's inflated ego (False Self) and defences. They compliment the narcissist, challenging him to prove his omnipotence by overcoming his disorder. They appeal to his quest for perfection, brilliance, and eternal love - and his paranoid tendencies - in an attempt to get rid of counterproductive, self-defeating, and dysfunctional behaviour patterns. By stroking the narcissist's grandiosity, they hope to modify or counter cognitive deficits, thinking errors, and the narcissist's victim-stance. They contract with the narcissist to alter his conduct. Some even go to the extent of medicalizing the disorder, attributing it to a hereditary or biochemical origin and thus "absolving" the narcissist from his responsibility and freeing his mental resources to concentrate on the therapy. Confronting the narcissist head on and engaging in power politics ("I am cleverer", "My will should prevail", and so on) is decidedly unhelpful and could lead to rage attacks and a deepening of the narcissist's persecutory delusions, bred by his humiliation in the therapeutic setting. Successes have been reported by applying 12-step techniques (as modified for patients suffering from the Antisocial Personality Disorder), and with treatment modalities as diverse as NLP (Neurolinguistic Programming), Schema Therapy, and EMDR (Eye Movement Desensitization). But, whatever the type of talk therapy, the narcissist devalues the therapist. His internal dialogue is: "I know best, I know it all, the therapist is less intelligent than I, I can't afford the top level therapists who are the only ones qualified to treat me (as my equals, needless to say), I am actually a therapist myself…"
A litany of self-delusion and fantastic grandiosity (really, defences and resistances) ensues: "He (my therapist) should be my colleague, in certain respects it is he who should accept my professional authority, why won't he be my friend, after all I can use the lingo (psycho-babble) even better than he does? It's us (him and me) against a hostile and ignorant world (shared psychosis, folie a deux)…"
Then there is this internal dialog: "Just who does he think he is, asking me all these questions? What are his professional credentials? I am a success and he is a nobody therapist in a dingy office, he is trying to negate my uniqueness, he is an authority figure, I hate him, I will show him, I will humiliate him, prove him ignorant, have his licence revoked (transference). Actually, he is pitiable, a zero, a failure…"
And this is only in the first three sessions of the therapy. This abusive internal exchange becomes more vituperative and pejorative as therapy progresses. “Mirror transference is the remobilization of the grandiose self. Its expression is: "I am perfect and I need you in order to confirm it." When it is very archaic, mirror transference can easily result in feelings of boredom, tension, and impatience in the analyst, whose otherness is not recognized. Counter-transference is thus a sign of it. Narcissists generally are averse to being medicated. Resorting to medicines is an implied admission that something is wrong. Narcissists are control freaks and hate to be "under the influence" of "mind altering" drugs prescribed to them by others. Additionally, many of them believe that medication is the "great equaliser" – it will make them lose their uniqueness, superiority and so on. That is unless they can convincingly present the act of taking their medicines as "heroism", a daring enterprise of self-exploration, part of a breakthrough clinical trial, and so on. They often claim that the medicine affects them differently than it does other people, or that they have discovered a new, exciting way of using it, or that they are part of someone's (usually themselves) learning curve ("part of a new approach to dosage", "part of a new cocktail which holds great promise"). Narcissists must dramatise their lives to feel worthy and special. Aut nihil aut unique – either be special or don't be at all. Narcissists are drama queens. Very much like in the physical world, change is brought about only through incredible powers of torsion and breakage. Only when the narcissist's elasticity gives way, only when he is wounded by his own intransigence – only then is there hope. It takes nothing less than a real crisis. Ennui is not enough.